The elbow is one of the most commonly used body part and easily one of the most prone to pain. Severe elbow joint pain can be a product of the overuse of the elbow joints, a fall or an injury, but it can also be a symptom of a more serious medical condition. What are the Symptoms of Elbow Joint Pain? The elbow is one of the most important parts of our body and it is used to rotate the forearm. The three long bones in the arms are met with this joint. Suffering from elbow pain can be debilitating and may hinder your daily routine.Usually, elbow joint pain is characterized by swelling and inflammation of tendons and are often the results of accidents and overuse. Sharp pains Usually, the pain starts as a minor but progresses to severe but with sharp pain. The pain travels through the forearm and hands. This is usually felt while holding something with a tight grip. The pain may also be experienced after performing a certain activity. Another symptom is an unpleasant feeling on the joints at night. Sometimes, if pain is already felt during the day the pain gets worse during colder temperature. The feeling of discomfort is aggravated because of sensitivity to pain. It feels like the joints can be easily crushed or bruised because of its sensitivity. There is a feeling of uneasiness when moving or using the elbow. This results in lesser power in moving the joint. When the symptom gets worse, skin changes and bruises may be observed. Sometimes, bleeding occurs. Consider this as a case of emergency and seek medical attention at once. Most of the time, elbow joint pain is not serious. However, misuse and overuse of this part of the body can cause a damage or injury. If this happens, it can definitely affect our daily activities and way of life. Most of the time, we tend to take for granted simple elbow joint pains that we experience. Consult a medical practitioner once you feel that there is something wrong with your elbows or any part of your body to prevent having a more serious problem. In the case of elbow joint pain, the doctor may prescribe a pain reliever or medication. Some may also give you advice regarding the routines that you should do at home, exercise or therapy. However, in some severe cases, doctors may advise you to undergo surgery. As mentioned, elbow is one the significant part of our body and is used every day. Therefore, we should do our best to take care of it as much as we could. Try to pull or push things lightly or do not give your full power during movements. Warm-up or do some stretching before doing any exercise routine and make sure to select exercise properly. Choose one that will not give too much pressure to your elbows. Take supplements that are rich in Calcium. Lastly, make sure that you rest your elbows or your forearms after a very strenuous activity to give it time to recharge energy. 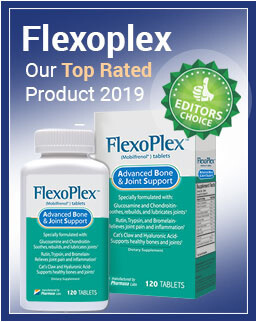 Also Read Penetrex Review: Helps to alleviate joint pain and swelling. What are the Causes of Elbow Joint Pain? There are several causes of severe elbow joint pain which can be accompanied by swelling, inflammation and stiffness. Tennis elbow is a condition that affects the lateral epicondyle part of the arm. It occurs when you repeatedly overworked your elbow, such as when you are using your backhand too much while playing tennis. 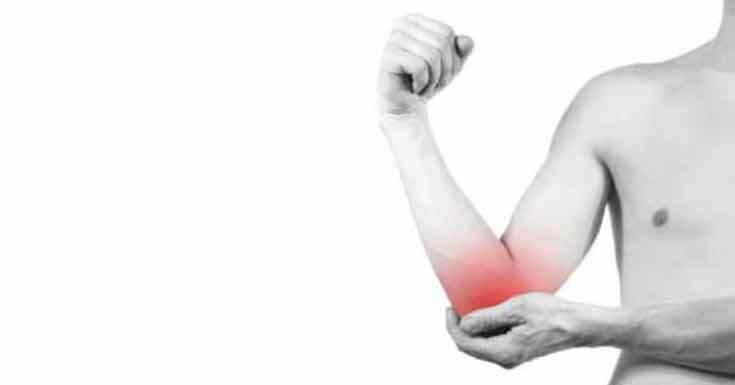 Tennis elbow often comes not just with pain, but also inflammation. It may also feel tender and swollen and may further feel painful if the affected elbow joint is used repetitively. Medically known as medial epicondylitis, the golfer’s elbow is the condition wherein the inner forearm becomes painful due to repetitive use such as when doing golf swings. One may feel pain and tenderness on the inner elbow and may worsen when the forearm tendon is often used. When the tip of the elbow appears swollen and feels painful, you could be having Olecranon bursitis. It can be caused by an injury incurred on the elbow, or as a symptom of other medical conditions such as rheumatoid arthritis and gout. You may also feel severe elbow joint pain when you sprain your elbows. Overusing your elbow joints, or putting more pressure than usual may cause the stretching of the tissues, making your elbow painful and appear swollen. Chronic leg pain is characterized by discomfort on the legs. The harder part is sometimes you cannot figure out where the pain is coming from. It can come from the joints or the muscles and tissues surrounding it. Aside from the pain, there is a tingling feeling and redness around the infected area. Having this kind of pain may cause an interruption to a person’s daily activities. Athletes and players who are experiencing this should stop for a while and try treatments available to ease the pain and inflammation. A lot of conditions can cause chronic leg joint pain like medical conditions in the joint, tissues and muscles around it. This is the most common causes of chronic pain. Examples of trauma are sudden fall and twisting that may damage the joints of the leg as well as the tissues and muscles around it. Due to blood clot in the leg, veins can swell and can cause severe pain, with tenderness and redness of the area. This is another cause of chronic joint pain and is also called degenerative joint disease. This is a result of a monotonous and over use of the leg. Most of the patients of Osteoarthritis are players who play a certain sport that needs to give pressure to the legs. Monotonous jobs that needed to carry too much weight may also be a causes of leg joint pain. The reason for the severe discomfort is the damaged ligaments and tissues around the joint. This also includes pain due to fractures, shin splints, sprains (due to stretched ligaments) and bleeding of tissues and joints. Not only that it can cause chronic pain but also leg spasms. Just like osteoarthritis, it is caused by injury caused by overused leg joints and muscles. This can be very painful. This is a problem with the circulatory system where arteries are contracted. If there is a problem with the blood flow to and from the legs, it can also cause a severe pain. This is the swelling of joints that causes difficult movements. This is a painful swelling of visible veins in the legs and is difficult to treat. Mild leg joint pain can be treated with simple warm compress and exercise. It can also be prevented by giving a massage with Blue Emu. However, treatments for chronic pain may be serious and difficult although there are several medications and therapies available as a treatment. An ideal thing to do is to consult a doctor in order to get an appropriate diagnosis and proper treatment. Do not wait for a simple pain to become unbearable as it can lead you to drop your daily activities if it gets worse. What are the Treatments Options for Elbow Joint Pain? Treatments for severe elbow joint pain depends on the severity of the pain. Sprained elbows can be treated at home by putting on an ice pack and taking pain killers and non-steroidal inflammatory drugs or supplements such as Arthri-D3. It would also help not to use the injured elbow so much and give it a rest until the pain and swelling subside. In case the pain is recurring and worsens over time, it may be caused by an underlying medical condition. You need to consult your health care provider for proper assessment. You may need to undergo an X-ray. This will help you determine if you need other treatment options. Taking care of our elbows is important because they provide movement for our arms. It is best to warm up and cool down before and after exercising to prevent injuries while doing physical activities. You may also enrich your diet with more calcium and vitamin D to further strengthen the bones, and consult a doctor once the pain worsens and if is already interfering with your daily routine.